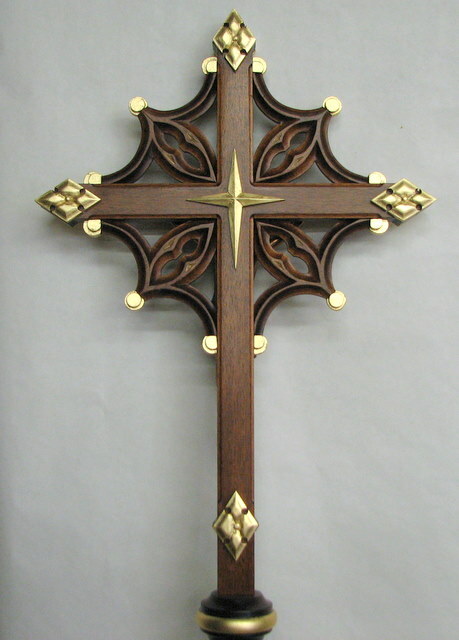 You may remember the first Processional Cross I did for a Lutheran church. This one was done in a pierced, stylized design. In place of the corpus, as Lutherans tend to not favor a corpus on the cross , I used the symbol of the Lutheran Rose. 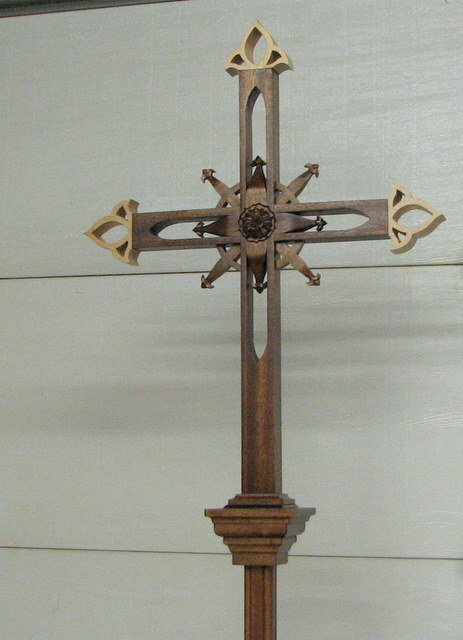 The cross was done in Mahogany with oil stain and a lacquer finish. 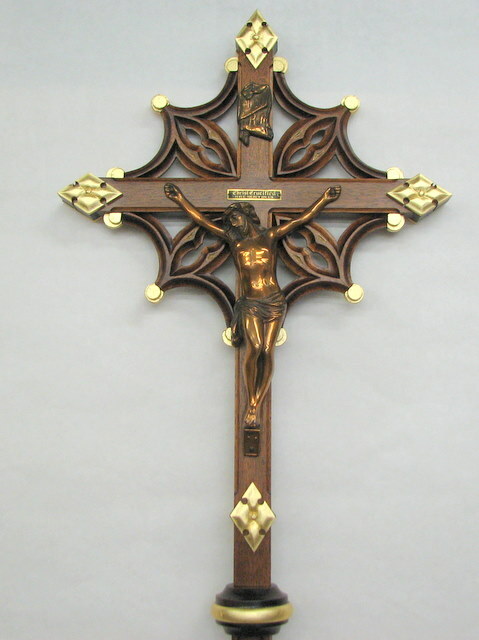 The second cross was just completed for a Catholic church. 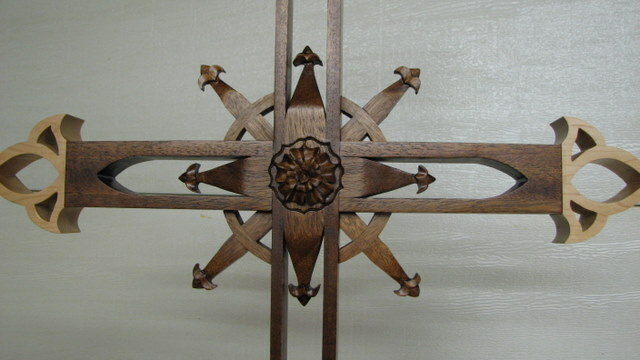 This one was also done in Mahogany in a more Gothic style design. They happened to have an old cross at the church with some history to it that had a cast copper Corpus and banner. I “recycled” this body to use on their new processional cross. This cross as well was finished using oil stain, Gold leaf and a lacquer finish. And a close up of the Cross. The Processional Cross for the Catholic Church with the Copper Corpus. The back view of the Cross.